Churches in Massachusetts can receive taxpayer funds in some circumstances, but not for projects that support their core religious activities, the state’s highest court ruled. The Supreme Judicial Court issued its opinion in a case involving the Acton Congregational Church. 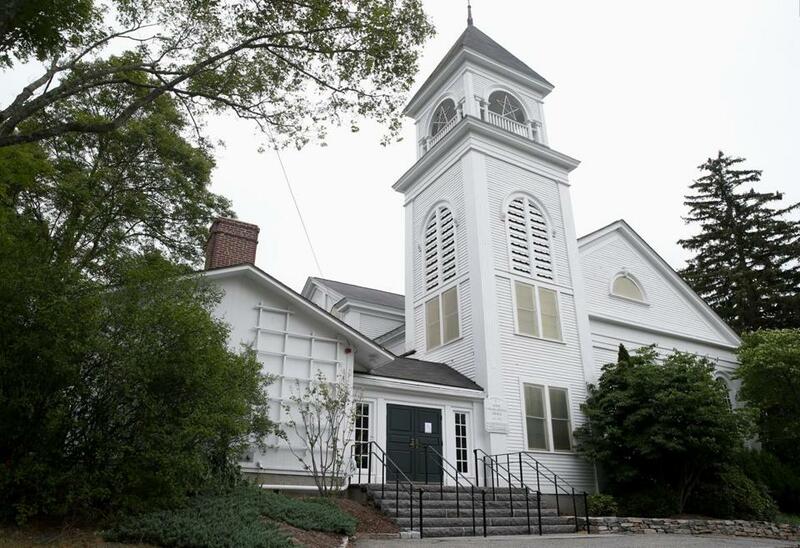 Acton Town Meeting members in 2016 approved Community Preservation Act grants totaling $51,237 for restoration of the church’s stained glass windows and $49,500 to develop a master plan for its main building and two adjacent houses that it rents out. All three buildings date back to the mid-19th century. A Superior Court judge denied the residents’ request to block the payments while the litigation was pending. But the SJC on Friday reversed the lower court ruling by a 5-1 margin, granting the plaintiffs’ request for an order blocking the payouts while both sides continue to litigate the matter. The case now returns to Superior Court. Writing for the majority, SJC Chief Justice Ralph D. Gants said in his 47-page opinion that the state constitution has no absolute ban on churches receiving public funds. However, Gants wrote, the grants in the Acton case could violate the rights of town residents who don’t subscribe to the church’s beliefs. Gants said the plaintiffs are “likely to succeed on the merits of their claim with respect to the stained glass grant,” but “further discovery” is required for assessing the master plan grant. The SJC ordered the town to provide discovery evidence to the plaintiffs. Rachel Laser, executive director of Americans United for the Separation of Church and State, a group that helped represent the plaintiffs, hailed the ruling in a statement. Nina Pickering-Cook, a lawyer for the town, also cast the ruling as a partial victory. At the same time, she said, the ruling could have a “chilling effect” on the willingness of cities and towns to preserve historic buildings. “The town has always believed these historic resources [deserve] protection, regardless of who owns them,” said Pickering-Cook, a partner at Anderson & Kreiger in Boston. The Rev. Sue Remick, interim senior minister of Acton Congregational Church, declined to comment Friday. Quoting from the Supreme Court ruling, Cypher said the high court found states cannot force grant applicants to renounce their “religious character in order to participate in an otherwise generally available public benefit program,” absent a compelling state interest. Friday’s majority SJC ruling, Cypher wrote, places a historic church with an active congregation at “a distinct disadvantage” when seeking preservation funds, compelling the church to renounce its religious character to participate in the grant program. Globe correspondent Jennifer Fenn Lefferts contributed to this report.